NOKIA 8.1 with 6.18" Full-HD+ PureDisplay, Snapdragon 710 processor and Android 9 Pie launched. HMD Global today announces the Nokia 8.1, the newest addition to its value flagship range. The Nokia 8.1 comes with proprietary PureDisplay screen technology with HDR 10 support, ZEISS Optics and Optical Image Stabilization (OIS). The Nokia 8.1 is the second Nokia smartphone to come with PureDisplay screen technology for an enhanced viewing experience. The adaptive 6.18" Full-HD+ PureDisplay keeps the colors accurate and the content visible - even in bright sunlight. Thanks to HDR10 support, 96% color gamut and 1:1500 contrast ratio, you can enjoy brighter videos with crisper details and richer colors. Plus, the new Adaptive Brightness feature in Android 9 Pie learns your screen brightness preferences and automatically adjusts the settings. Nokia 8.1 is powered by a Qualcomm Snapdragon 710 processor, coupled with 4GB RAM and 64GB storage. It houses a 3500mAh battery with 18 W fast charging. Running the latest Android software, Android 9 Pie, the Nokia 8.1 is the first Nokia smartphone to launch with Android 9 Pie out of the box. The Nokia 8.1 comes with Android 9 Pie, which includes AI-powered features that make your device smarter and faster while also adapting to your behavior as you use it, so your smartphone gets better with time. The Adaptive Battery feature limits battery usage from apps you don't use often, and App Actions predicts what you're about to do so you can get to your next action quickly. The Nokia 8.1 also combines the capabilities of Google Assistant with Dual-Sight, so you can ask it to take #Bothie pictures and videos, and even command it to livestream to YouTube for a convenient and seamless experience. It also has twice the AI power, thanks to a multi-core AI Engine which combines a brand-new architecture for efficient performance. Qualcomm aptX audio support also means music lovers can enjoy high quality sound wirelessly over Bluetooth. The Nokia 8.1's 12MP main camera with ZEISS Optics has an industry-leading 1/2.55" super sensitive sensor with large 1.4 micron pixels for precise light capture, delivering detailed images with the combination of Optical Image Stabilisation (OIS) technology and superfast autofocus. A wide aperture ensures you can capture sharp pictures even in low light conditions, allowing longer exposure times that can be manually controlled with the Pro Camera mode. 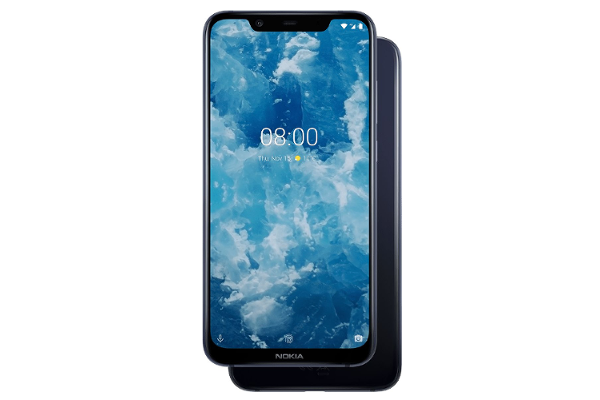 The Nokia 8.1 will be available in three colour combinations, Blue/Silver, Steel/Copper, Iron/Steel, starting mid-December and will retail for an average global retail price of 399 €, exclusive of taxes and subsidies.